How Much Will My IBS Treatment Cost? Home » Blog » Uncategorized » How Much Will My IBS Treatment Cost? “Do you take my insurance?” That’s the number one question patients ask us. But what they really want to know is, how much will this cost me? If you’re like most of our patients, you’re accustomed to never getting a clear answer to that question. Due to red tape, internal policies, and other restrictions, most doctors, hospitals, and insurance providers generally won’t (or can’t) provide a real answer. Many providers “accept your insurance,” but few can tell you exactly how much their services cost. That’s a heck of a surprise! Unfortunately, it’s very common for in-network doctors to use out-of-network specialists. And you’ll be stuck paying out-of-network rates for their work. 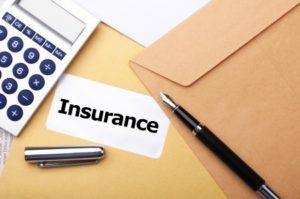 And if you haven’t met your deductible, or the insurance company decides something done was not covered, even services from in-network providers can be very expensive. This systemic “abuse of the implicit trust that you have with your doctor” can make people avoid receiving care altogether, rather than face the risk of medical bankruptcy. At the IBS Treatment Center, our costs are completely transparent. And we can easily tell you the precise maximum cost you could pay. How do we have cost transparency, and other medical providers don’t? It’s easy. We work for you, not the insurance companies. This means our doctors can focus on making you better—and give you the right treatment, rather than only what insurers will pay the most for. The results really speak for themselves. Our success with IBS patients is unmatched by any other facility anywhere. This direct-pay model means we can tell you the right cost immediately, and you pay when you get services. No surprise bills arrive months later. We provide you with the paperwork to submit to your insurance company so they can pay their share of your costs—in a check made out to you. Your insurance company works for you. You pay them for insurance, and under our model, they pay you for your medical costs. Simple, clear, and under your control. How much is life without IBS worth to you? Compare our costs with some other routine medical services: for instance, putting dental braces on your kid. All told, you’ll probably pay the dentist upward of $2,000–5,000 for straighter teeth. Not counting insurance reimbursement, our patients typically pay far less for everything they do with us. Wouldn’t you say living without IBS is worth a lot more than straight teeth? The IBS Treatment Center has unmatched success in curing IBS (irritable bowel syndrome). With clinics in Seattle and Los Angeles, we help patients around the world get the answers they’ve been looking for. Call the IBS Treatment Center today at 888.546.6283 or request an appointment online to find out how you can cure your IBS symptoms for good!